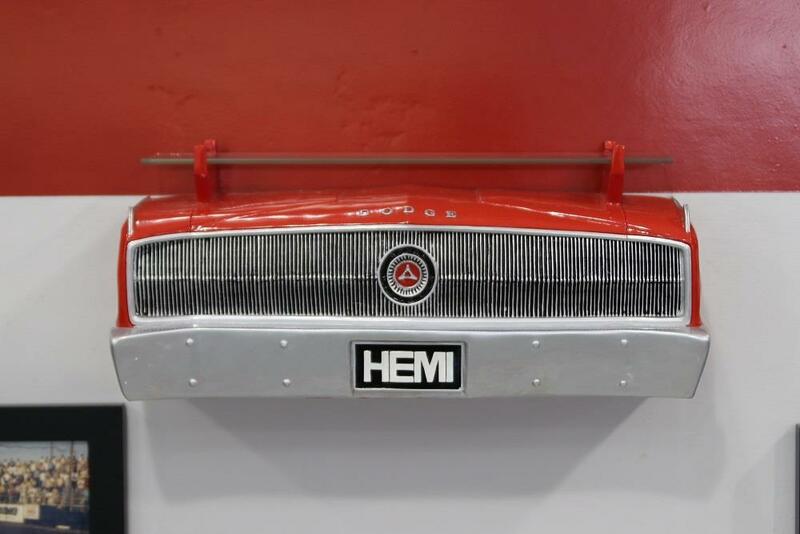 Sunbelt 1967 Dodge Charger Hemi Front Wall Shelf 7580-138 - California Car Cover Co. 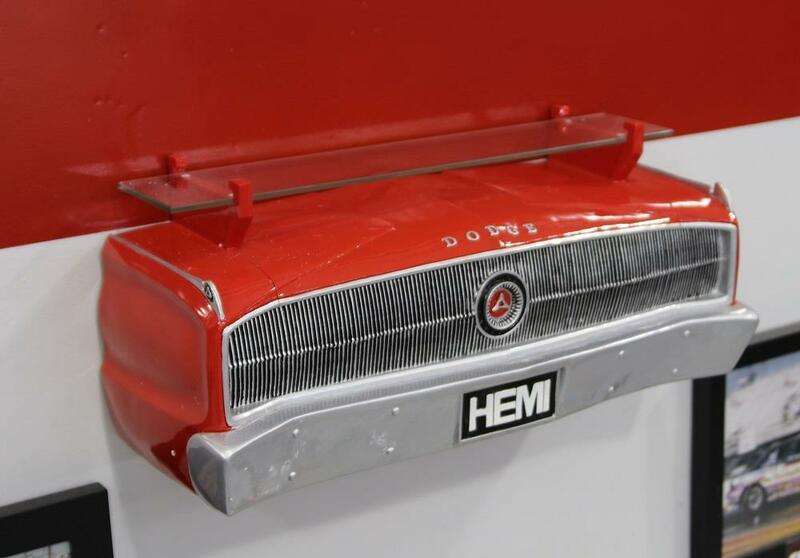 This classic Chrysler is a 1967 Dodge Charger HEMI cast in resin and hand-painted. 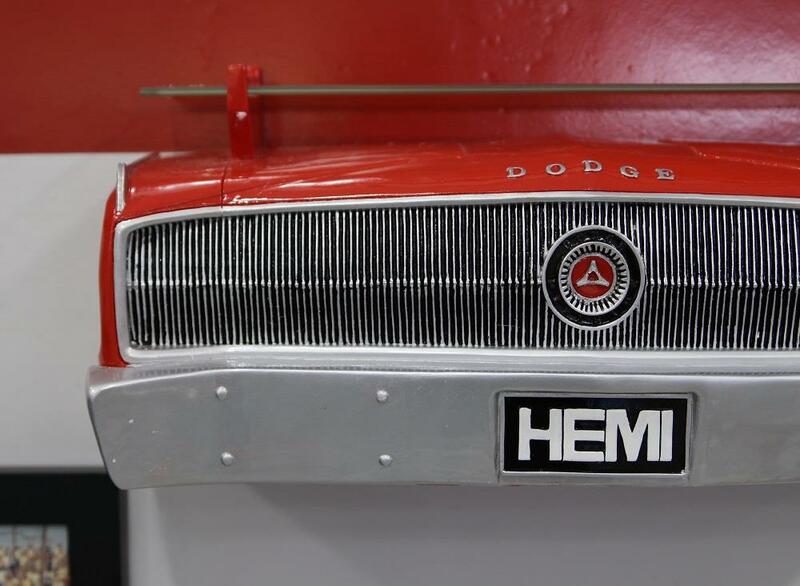 A tempered glass shelf sits atop the familiar front end, and yes, this baby even has working lights! What a way to display your favorite treasures. Measures 18.70" x 6.89" x 7.72". Non working lights.